At the end of November 2016, the Challenge Cup Series sent four of its most prominent drivers to race in the South African Formula Vee Association’s 50th Anniversary Grand Tour. Ray Carmody from Horseheads, NY and Dean Curtis of East Stroudsburg, PA represented the United States while Johan Wasserman from Binbrook, Ontario and Robert Murray of Lindsay, Ontario waved the Canadian flag in this highly-anticipated international celebration. “We all jumped on planes and met up in Johannesburg before flying together to Capetown after Thanksgiving. Arriving on Tuesday morning, Nov. 29th, after starting Sunday evening and then not needing to be at the track until Thursday, we went on a safari, visited a winery and a car museum before checking into our beautiful condo on the ocean beach. Once at the track we made friendships fast. And in the end the opportunity to drive actually became secondary as we were all sharing together the experience of a lifetime. All the Challenge Cup drivers finished in the top-10 at Killarney while Zwartkops turned out to be mostly a day of fun hanging out with fellow competitors and trying out many different car types. Now I’m already looking forward to these guys coming over here to run our cars at our tracks,” noted Johan Wasserman, a native South African, who in 1993 flew with fellow racers to New York, hired a Kombi and travelled halfway across the United States of America, to compete in the American Formula Vee Association’s 30th Anniversary event at Road America. By the time the final checkered flag dropped in early December, Canadian and American CCS drivers had successfully competed at the South African Formula Vee 50th Anniversary special at Killarney in Capetown on Dec. 3rd and Zwartkops in Johannesburg on Dec. 5th. “This whole idea took off early last summer when I asked a few drivers if they had any interest in participating in such a unique ceremonial event far from home,” recalled dedicated CCS member and top touring competitor Wasserman, who not only formulated the initial plan to race in South Africa this year, he continues to chronicle all the details for a maiden voyage to Holland and possible cross-continental journey to Germany in 2017. The Challenge Cup Series concept was created to provide racers an opportunity to participate both on and off the track, first taking into consideration the essential requirements just for a driver and team to compete. Step one focused on cost-cutting measures to get racers out on the track and a reduction in tire expenses topped the to-do list. With only minor dissent, CCS followed after the Canadian F1200 Series and the roots were put firmly into place. The organization broke further ground with the establishment of a directing board among its most active individuals. The fledgling five-member ruling body was comprised of both competitors and race enthusiasts, all with one common thread — an unconditional love for the pure sport of formula vee racing. As CCS continued to grow, the needs and wants of its followers were also extended and the search for new venues to allow its own own race groups carried on. And as CCS expanded so did its membership, and the awarding of post-race prizes drew even more competitors. Product sponsors such as Penske Racing Shocks and Carbotech Performance Brakes climbed on the bandwagon, with additional corporate support soon to follow. “As the series has grown and the word got out about how much fun guys were having, things started happening fast and our fields started getting bigger,” said Wasserman, whose daily contributions to the Challenge Cup Series continue to fuel his passion for formula vee racing. “People began taking notice and an invitation to the anniversary event in South Africa was the culmination of this climb up the ladder in the world of motorsports. “Another good thing that is happening is we have many young drivers entering the series which is positive for the future of the sport. The series goal is to get participation numbers so we can go to sanctioning bodies and put events on that are good quality for the competitors. We are always looking for new sponsors and people that have a passion for the sport to help it grow. With the increased exposure and interest in both Canada and the U.S., and now abroad, the series can only get bigger, making this the perfect time for a passionate brand to partner with the Challenge Cup series,” Wasserman added. Based on the pre-1963 Volkswagen Beetle, the Formula Vee (US) or Formula 1200 (Canada) open-wheel race class was formed in the 60s to offset the rising costs of the Formula Junior class of that time. Auto racing, like horse racing, had become something only the rich or well-sponsored could afford. The engine, transmission, suspension and brakes are stock or modified parts while the chassis is a tube frame design with a fiberglass body. This class has changed little from its inception and has seen some of the world’s finest racers in its ranks, making it one of the most popular and affordable forms of motorsports on the market today. For the last five years, the Challenge Cup Series has been igniting interest in auto racing in both the United States and Canada. The program has grown surprisingly fast, attracting enthusiastic support from a new generation of drivers and garnering the attention of national sponsors like Penske Racing Shocks, Carbotech Performance Brakes, Autowerks Engines, Castle Products, and others. The prizes offered by sponsors have also helped to spark a dramatic increase in driver participation and spectator interest. The exciting new program started this year is certain to attract more drivers from around the world as they engage in compelling competition toward the overall Challenge Cup Series ’17 crown. Kicking off with a South American national points race on a well known F1 track, Autodromo de Interlagos, in Brazil on Jan. 28th (with sponsorship for the accommodation, registration and transport including the Vees for the event already secured), CCS drivers will contend at two historic Formula One tracks; first at Mosport in Canada at the new Canadian Tire Motorsport Park, then later in the year at Watkins Glen International in upstate New York. The series will also travel to Mid-Ohio and Pittsburgh International as the summer season swings into high gear. The newest additions to the CCS program have raised the excitement level of both fans and team members, creating a truly international series where drivers from around the world can race at first class tracks and experience some of the best racing found anywhere. 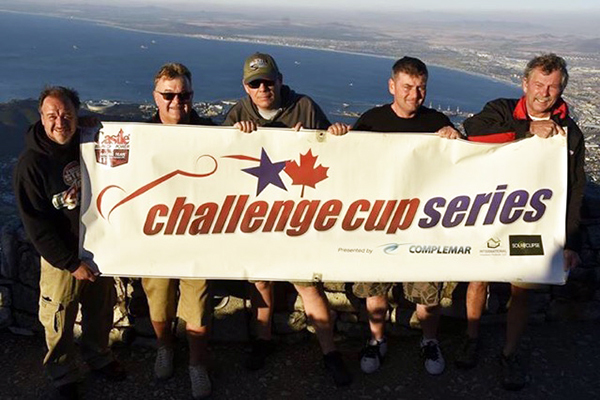 Contact us for more information on the Challenge Cup Series, including photographs and video of Formula Vee racing.